“I don’t like to be gratuitous with chocolate. I like for it to be meaningful.” Chef Sarah Langan explained her philosophy on cooking with chocolate to a full tent as she and her assistants gracefully whipped up a 3 course cooking demo on a beautiful Vermont summer day. The theme for the tasting: chocolate and cheese; what 2 things are easier to love? Chef Langan is the chef and educator at South End Kitchen in Burlington, Vermont. South End Kitchen is a café located in Burlington Vermont owned by Lake Champlain Chocolates, a chocolate producer that has been in operation on Lake Champlain since 1983. Lake Champlaign Chocolates is a top- quality producer, and a true gem in the state of Vermont. The company uses local Vermont products to make their chocolates, doesn’t add preservatives or additives, are committed to sourcing non-GMO ingredients, and are champions of fair trade. These factors combine to make high-quality chocolates, which are featured in various ways at South End Kitchen. For the first course, Chef Langan chose to do a very simple chocolate and cheese pairing using Lake Champlain’s Blue Bandana 70% Guatemala Chocolate and Vermont Creamery’s Bonne Bouche. Both products are beautiful and intricate on their own, married very well on the palate to completely enhance the flavor experience. The chocolate was chalky, fruity, and initially sweet with a solid acidity. The Cheese Was acidic and moldy, mild with a great funk presence. Eating them together brought me back to Ratatouille swirling colors around his head as he is pairing scraps on the yard of his farm. Together the acidity and mold went down, the fruit notes really shined through, and both products mellowed out a little bit. It was an excellent pairing and an excellent start to the demo. As Chef Langan segued into the second course, she introduced a reflection on how we as humans react to the five tastes (sweet sour salty bitter and umami). She stated “When you can have all 5 tastes in one dish, you will satisfy yourself. When your palate is missing one, you will crave more.” It was with this philosophy in mind that she created her second course, a rustic tart consisting of arugula, pancetta crisps, Vermont Creamery’s Cremont, Fig & honey spread, lemon vinaigrette, and a chocolate emulsion all over a tart dough. With sweet from the fig and honey, salty from the Cremont and pancetta, bitter form the arugula and chocolate, acidity from Cremont and the vinaigrette, and umami from the pancetta, it was perfectly complete. I felt distinctly happy and satiated after consuming it. Finally, for the third course (and dessert), Chef Langan severed a Chocolate Chevre Cheesecake. 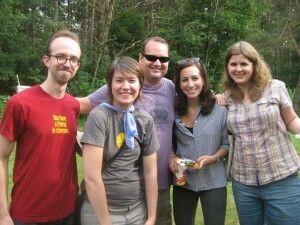 It was a beautiful conclusion to the cooking demo: woodsy, tangy, fatty, soft, great in acidity, and rich in chocolate. Of the three courses, this was definitely my favorite, but I have a sweet tooth and I love chocolate. I left the tasting feeling educated, satiated, and happy to be alive. There’s nothing better than great cheese and expert culinary execution. If the food at South End Kitchen is anything like the tasting, it’s definitely worth a visit. 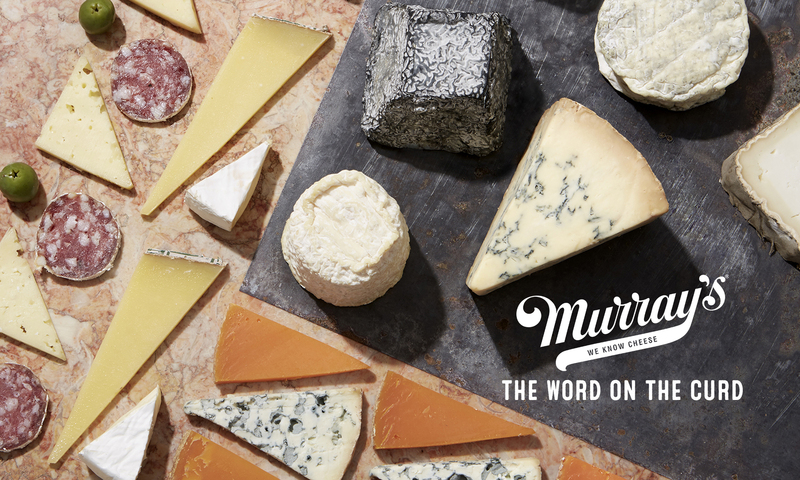 Elizabeth Chubbuck is the Associate Director of Wholesale at Murray’s Cheese. If you’ve eaten a delicious cheese at a restaurant, chances are she had a hand in getting it on your plate. Her passion for all things cheesy is rivaled only by her near encyclopedic knowledge of the same. 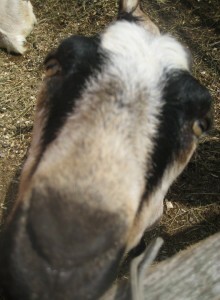 She recently visited Twin Maple Farm and learned the fascinating story behind the cheese we love so much. 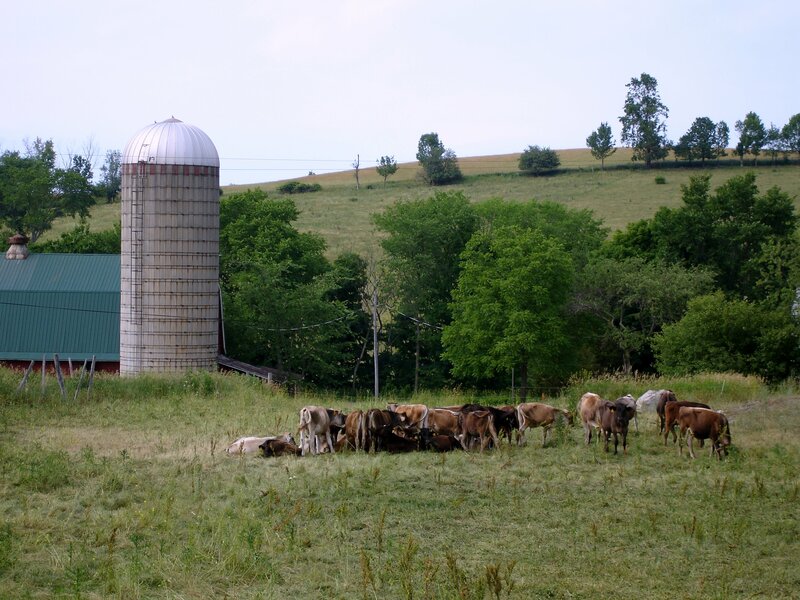 A photo of Twin Maple Farm should be printed in the dictionary next to “bucolic.” The land, continuously farmed since 1801, is rolling, green and tucked away on a narrow, winding road in New York’s Hudson Valley. 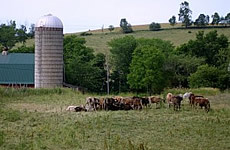 The old farmhouse still stands upright and resolute, and the hills are dotted with Jersey Cows. 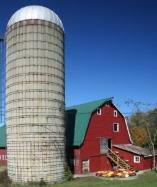 It’s also where Hudson Red, one of our favorite cave aged cheeses, is made. We’ll get to that later… first, a story! Two years ago, childhood friends Matt Scott and Dan Berman bought Twin Maple farm and retrofitted the original red dairy barn to accommodate cheese production and aging. Not content to sit back and enjoy the view, they embarked on a larger project to help rebuild the rural landscape and economy of the Hudson Valley. Armed with a vision of supporting family farms, they created The Pampered Cow, a company dedicated to providing sales and distribution solutions for farms throughout the region. Sales and distribution solutions, you say? 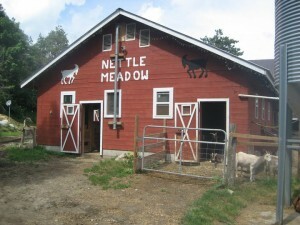 Sure, it might sound a bit city-slicker when paired with the rural beauty of the land, but for small-scale, family-owned dairies outside marketing and distribution solutions can allow them to focus energy on creating better cheeses, slowly increasing production, and eventually moving from Farmer’s Market-only sales into a slightly larger arena where more people can enjoy their cheese. Increased production also means more jobs in rural communities where opportunities can be scarce. 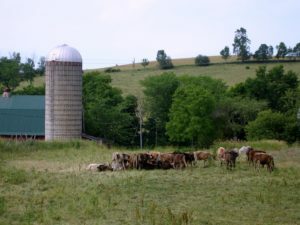 It means that more cows are out to pasture, which means more fields are green with grass and hay farmers stay in business. Starting to get the picture? 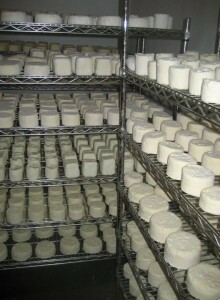 With time, cheesemakers no longer have to work around the clock, 7 days a week, just to scrape by. It’s still hard work, but their lives become more balanced and sustainable, their cheese more delicious and reliable. So, where does that delicious Hudson Red fit into all of this? About a year after the Pampered Cow started working to improve the lifestyle of local farmers, Hudson Red came into existence. Their original cheese maker spent time in Italy working with Italian producers before returning to the Hudson Valley to make cheese at Twin Maple. Inspired by Italian Taleggio and Alsatian Munster, Hudson Red is a funky, washed-rind, raw cow’s milk cheese. The dense, fudgy paste becomes silken and pudding-like with careful washing and aging in our caves. The funky, wild flavor that develops echoes the rugged, rural landscapes that inspired it. Wash it down with a glass of New York Riesling for the Empire State’s quintessential terroir-based pairing. You’ll make Matt Scott – and a lot of local farmers – proud!